The fire broke out on Monday off Russia's territorial waters. Both vessels were flying Tanzanian flags. One of them was a liquefied natural gas (LNG) carrier and another one was a tanker. The fire broke out as the two ships were transferring fuel from one to the other. 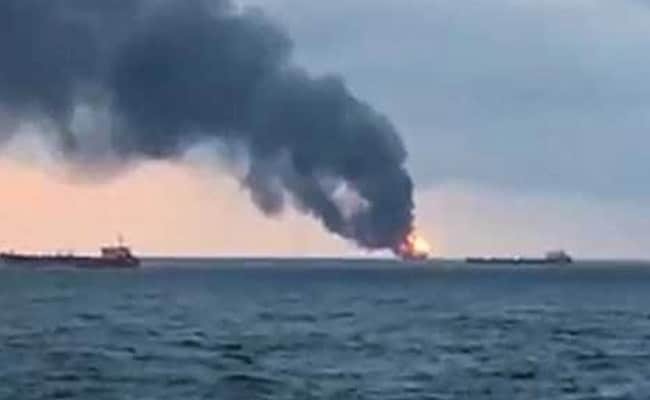 India is in touch with Russian authorities after two ships carrying Indian, Turkish and Libyan crew members have caught fire in the Kerch Strait separating Crimea from Russia, killing at least 11 persons, media reports said on Tuesday. The fire broke out on Monday off Russia's territorial waters. Both vessels were flying Tanzanian flags. One of them was a liquefied natural gas (LNG) carrier and the one was a tanker. The fire broke out as the two ships were transferring fuel from one to the other. The other one, the Maestro, had 15-member crew, including seven Turkish nationals, seven Indian citizens and an intern from Libya, Russian news agency TASS quoted the maritime authority as saying. External Affairs Ministry Spokesperson Raveesh Kumar said the Indian embassy in Moscow was in constant touch with the concerned Russian agencies to get more information on Indian nationals affected in the incident and to extend necessary assistance. "We have been informed that two ships caught fire while moving through the Kerch Strait after one of them was apparently rocked by an explosion on 21 January," he said. At least 11 sailors have died, Russian Maritime Agency was quoted by RT news, a Russian television network, as saying. 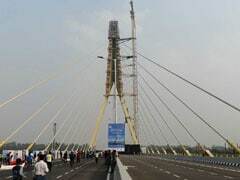 The agency did not specify the nationalities of persons killed in the accident. Some sailors managed to escape the burning ships by jumping off the vessels. Twelve persons have so far been rescued from the sea. Nine sailors are still listed as missing, the spokesperson said. "As of 6 am, the status of the operation has been reclassified to search from rescue because there is no hope to find survivors," the spokesperson said.